“Ciao come stai? Tutto Bene. Fammi un martini secco per favore! Grazie!” If you’re bellowing this through a loudspeaker to the staﬀ at the Capri Palace as they watch in awe as you – still resplendent in your silk shantung dinner jacket and soft-collared tropical-weight Marcella evening shirt – enact a perfect 10-point swan dive from the skid of your helicopter hovering above the pool, in homage to Gianni Agnelli’s famous entrance to the legendary Hotel du Cap, then this watch is for you. If, this summer, you plan to live to an internal soundtrack of Renato Carosone’s ‘Tu Vuò Fa L’Americano’ and on a steady diet of Aperol Spritzes, Cohiba Talismans and Vitamin B12 injections, then this watch is for you. If you long for the era when the rakes of the Riviera – Agnelli, Porfirio Rubirosa and Aly Khan – did battle for the affections of the most prominent beauties that glittered along the southern coastline of France, then this watch is for you. Crafted to address all your timing needs this summer, whether ensconced upon the Riviera or not, so that you are able to lay command over the kitchen staff at the Pellicano, Marbella Club or the Gritti Palace to execute a perfectly timed three-minute egg enhanced with generous lashings of black truffle. You may choose to use it to time the duration of your Behike 54, reflecting on its creator Norma Fernandez’s stroke of inspiration to utilise the sun-kissed medio tiempo leaves to create the Domaine de la Romanée-Conti of cigars. And should you decide to re-enact the famous Slim Aarons photograph, titled ‘Keep Your Cool’, of a couple playing backgammon in a swimming pool in Acapulco, you will be delighted to hear that your TAG Heuer for The Rake & Revolution Carrera 'Blue Dreamer' Chronograph is water resistant to, at the very least, swimming pool depth. While all this is meant in good humour, the point is that there are far better, more qualified and handsome individuals than I to illuminate the history of the Heuer Carrera. And, ultimately, the point of my collaboration with TAG Heuer has not been to take direct inspiration from any historic timepiece, but rather to first come up with a personality. Let’s call him ‘The Rake’, an amalgamation of Fleming’s Commander Bond, Cary Grant’s John Robie and the glorious litany of playboys, adventurers, aristocrats and loveable scoundrels that breathed life into the Riviera and inspired the creation of The Rake magazine, and then create a watch for him. While being interviewed by my friend Ben Clymer on his seminal website Hodinkee, I openly admitted that I was profoundly inspired by his amazing Skipper watch created in collaboration with TAG Heuer. And that was absolutely true. 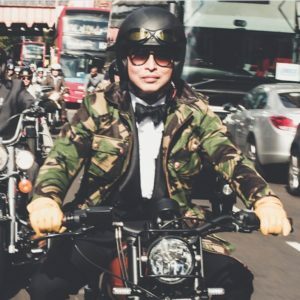 I am of the firm belief that Ben’s Skipper and my buddy Raynald Aeschlimann’s Speedy Tuesday tribute to Alaska III are the two watches that irreversibly changed the game, demonstrating the incredible communicative power of the web and Instagram in terms of disseminating information about a watch. For my first collaboration with TAG Heuer, once given the go-ahead by Jean-Claude Biver, the watch industry’s greatest living genius and capo of LVMH’s timepiece division, I beat a hasty path to TAG Heuer’s incredible museum, situated at its La Chaux-de-Fonds manufacture, presided over by the brilliant Catherine Eberle-Devaux. Together we poured over the museum’s stunning collection of Carrera watches, examining innumerable models and eventually focusing on the first generation 36mm models (1963-1971). It was in discussion with Eberle-Devaux that an idea began to coalesce. She said: “Maybe you should visualise the man that is going to wear this watch, the life he leads, how he’ll wear it.” Immediately, I was struck with the idea of creating the ultimate Riviera chic chronograph for The Rake – a man who loves style. A friend of Agnelli’s, Taki Theodoracopulos, recalls: “Gianni cared immensely about style – things had to be done the right way. His one great fear was lacking style. 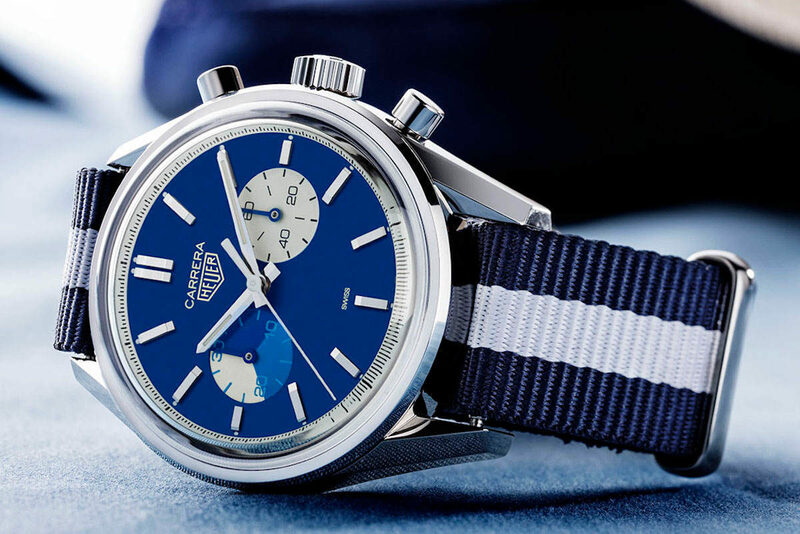 Everything had to be done stylishly.” I thought of the signature flourish of our Carrera being the minute subdial counter which is divided into three 10-minute sections, as in the Skipper. But, if it was up to a man like Agnelli, he would compel the colours of the dial to complement rather than contrast, while still remaining distinct. TAG Heuer Product Director Marc Walti – who led the charge on the project – and I also decided not to call the watch a “Skipper” as it lacked the 5-minute segments in the minute counter that are normally associated with a regatta chronograph. Also, I very much wanted a simple bi-compax (two-counter format) as I thought the design would be more Zen-reductionist-cool this way. Furthermore, I can’t think of any Rake who has more than a passing interest in the date, preferring to live perennially in the moment, while a watch to signal the onset of a discrete tryst would be invaluable. This necessitated a modification of the movement, that took a bit longer than anticipated. Says Walti: “If the movement is not modified you will have a dead spot when you pull the crown out for where the date adjustment used to be.” And that was not acceptable to either of us. 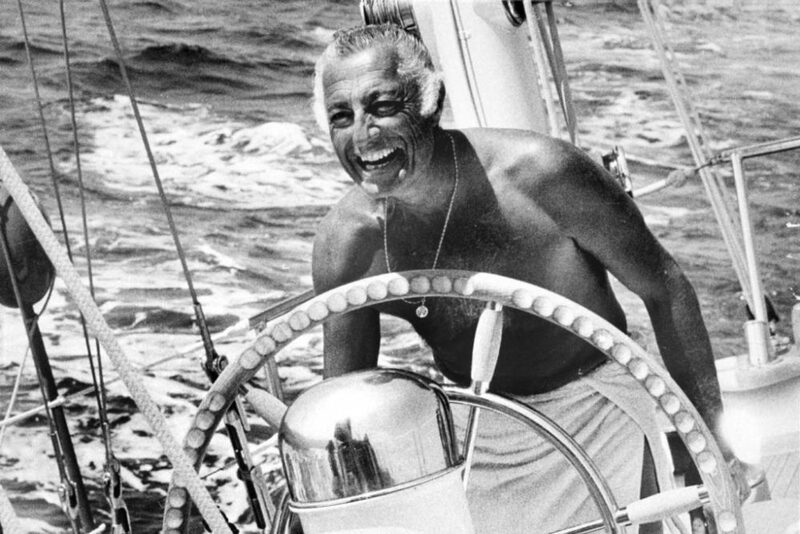 Gianni Agnelli on his yacht 'Capricia', 1977. Then came the question of a prevailing colour. It dawned on me that the most recurring shade found in The Rake and, in particular, during our pioneer year of e-commerce where everything we retailed was created uniquely for us, was blue. At the same time, I like the internal dialogue conjured by blue – it invokes warmth and coolness, passion and repose, all at the same time. Blue conjures up memories of sun and water on tanned skin and the sonic opiate of water lapping languorously against the edge of a dock or swimming pool. It was settled that it would provide the prevailing tonal universe from which we would work. 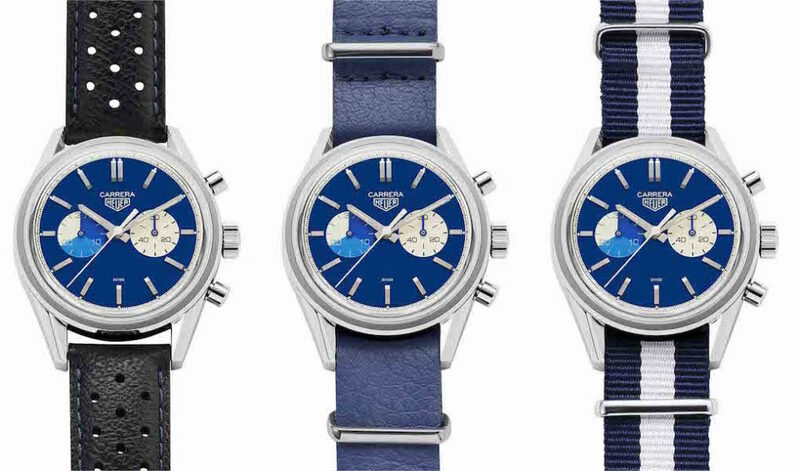 Soon after, my design team and I identified four shades of blue: Yves Klein blue for the dial, ultramarine and sky or cerulean blue for the subdial. For the dial, the selected blue closely approximates that of Yves Klein’s painting Blue Monochrome from 1961. Klein described this colour as “an open window to freedom as the possibility of being immersed in the immeasurable existence of colour”. And so, the name 'Blue Dreamer' is in deference to Klein’s evocative description. For an added touch of panache and sartorial variability, we’ve included two additional straps. The first is a blue textile NATO strap with a jaunty white stripe. The second is a blue leather NATO strap, which is my personal favourite, as it perfectly matches the colour of the watch’s dial. The stainless-steel case is 39mm in diameter and it is powered by TAG Heuer’s Calibre 18, which beats at 28,800 vph and has a 40-hour power reserve. It features a glass box sapphire crystal that evokes a vintage acrylic crystal and has a lug width of 19mm. It is water-resistant to 100m, which should be adequate for playing backgammon in any swimming pool. The 'Blue Dreamer' will be made in just 100 examples. The TAG Heuer x The Rake & Revolution 'Blue Dreamer' Carrera Chronograph is available from April 2018 in a limited run of 100 pieces. For more information relating to the product launch date and price details, email shop@therakemagazine.com, or make an inquiry through Revolution's newly-launched shop. The exclusive Tag Heuer 'Blue Dreamer' strap comes with an original perforated blue calfskin leather strap, a blue-and-white striped textile NATO strap and a second blue leather strap.